Do you want to learn how to write consistent research articles for international peer-reviewed journals? 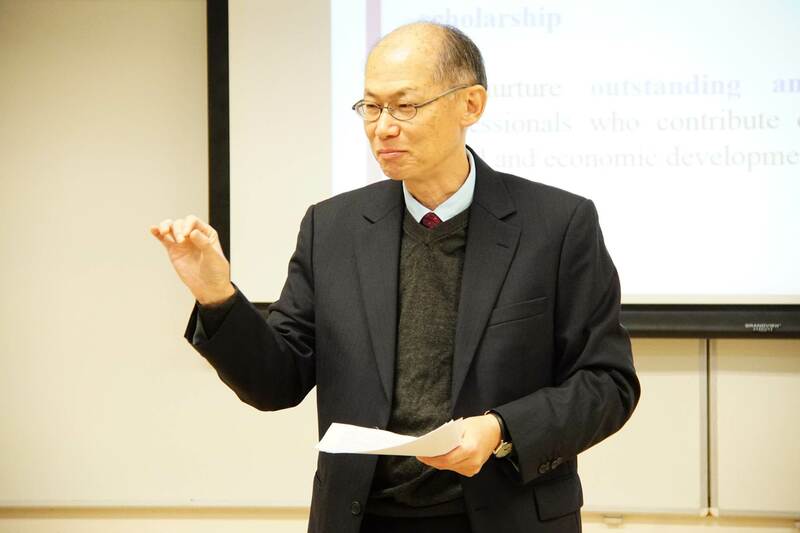 Professor Sing Kai Lo from Education University of Hong Kong will share efficient methods and best practices of academic writing at the open lecture Publishing in International Journals: From Designing the Study to Writing the Report. Professor Sing Kai Lo is currently an Associate Vice President in Assessment and Graduate Studies at the Education University of Hong Kong. He obtained his first degree from the School of Economic & Financial Studies, Macquarie University, Sydney, Australia, and then his PhD from the School of Public Health, the University of California at Berkeley. He has been holding academic positions in various universities in the US, Australia, Taiwan, and Hong Kong. Professor Lo is very active and productive in research, and has won numerous research and teaching awards. He has published more than 220 journal articles, many of them in journals with high impact factors. His research interest covers quantitative methods, validation of measuring instruments, people with disabilities, students with special educational needs, and complementary and alternative medicine. Prof Lo is active in mentoring early career researchers and graduate students, with an aim to build them into future academic leaders. He is experienced in designing and constantly organizes courses for the career development of young academics. Professor Lo is mindful that knowledge transfer should be important aspects of professional activities. He actively participates in knowledge sharing seminars and workshops targeting front-line service providers, e.g. teachers, and lay persons who are in need of gaining the knowledge, e.g., parents of students. He has also been a consultant to many government departments and non-profit organizations, e.g., Department of Health, Bureau of Education, private Foundations etc, providing expert advice to decision makers on policies that have major impacts on the society. At the lecture Professor Lo will speak about publishing in international journals, which is a common requirement for young researchers. It is also becoming a norm that higher degree by research students are also expected to publish. Due to a lack of experience, and sometimes a lack of proper guidance, such attempts could be discouraged by having the submission rejected, especially if rejected more than once. This type of challenges and skills needed from designing the study to writing up the report will be discussed. The lecture is aimed at students, young researchers. as well as more experienced academics. For participation, please register here.